This meeting space is for hire in the heart of Valencia and is suitable for corporate groups and business meetings. The stylish space is well-suited for all your business space needs, seating up to 10 people. 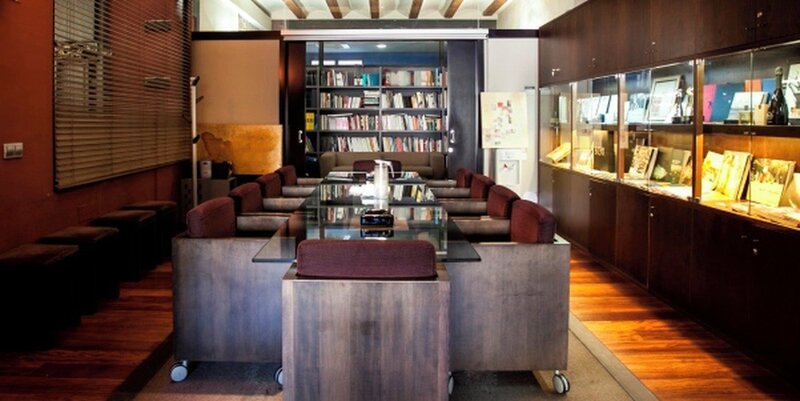 The seminar room is perfect for meetings or workshops. This practical, comfortable space is one of various meeting room rentals that we have on offer at this sophisticated business location. This impressive workshop space is available at the attractive price of €15 an hour but can also be hired for full days. In addition to an outdoor terrace there is bicycle parking available for your convenience.